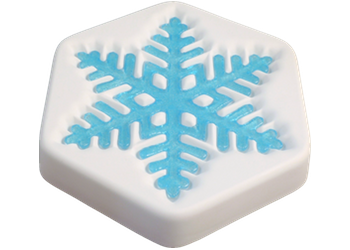 We created two snowflakes designs for 2017 and named them December and January for, what are for us, the two coldest winter months. This is the Snowflake '17 December design. It, like its brother, is big - almost 5.5” (14cm) from tip-to-tip. 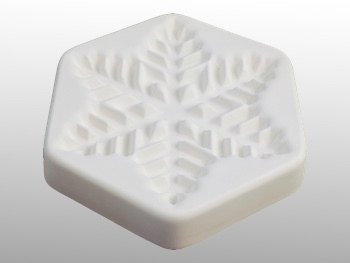 Fire these designs cool to create a snowy snowflake, or a bit hotter to create an icy one. 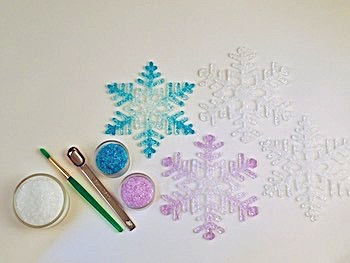 Incorporate dichroic flakes to add sparkle if you want. We have complete firing instructions and a step-by-step video. Click on the green LEARN tab above to see both.